This caused the fragment to separate off and plummet towards Earth. 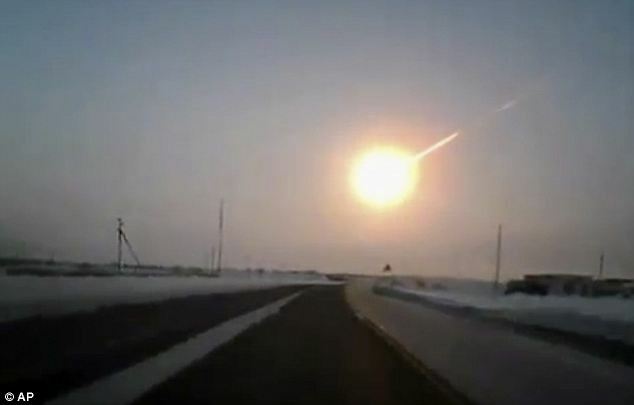 The meteor fireball, also known as a superbolide, was seen over Chelyabinsk in the south of the country near the border of Kazakhstan and around 900 miles east of Moscow. It exploded over Russia’s Ural Mountains and is the biggest space rock to have hit earth in more than a century. The 10,000 tonne rock, measuring around 55 feet in diameter, created a huge hole in a frozen lake when it crashed into the ground. 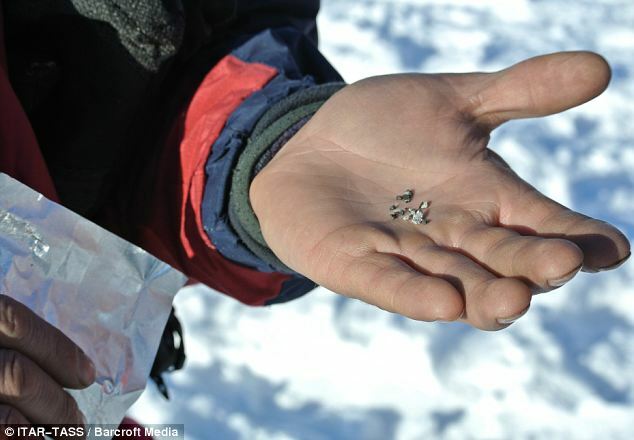 Over 1,000 people were injured by the exploding rock and scientists managed to recover more than 50 tiny fragments of the meteor, allowing them to study its contents and origin. Nasa scientists at the time said the shockwave caused by the crash was greater than 30 Hiroshima nuclear bombs and was so powerful it travelled twice around the world. 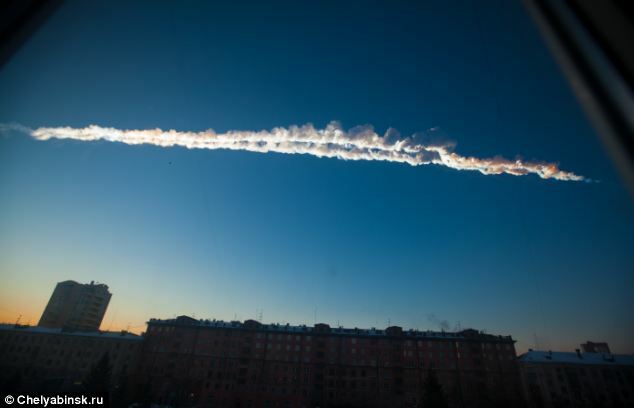 The Russian meteor hit the Earth just hours before an asteroid called 2012 DA14 was spotted nearby but the two incidents were not found to be related. 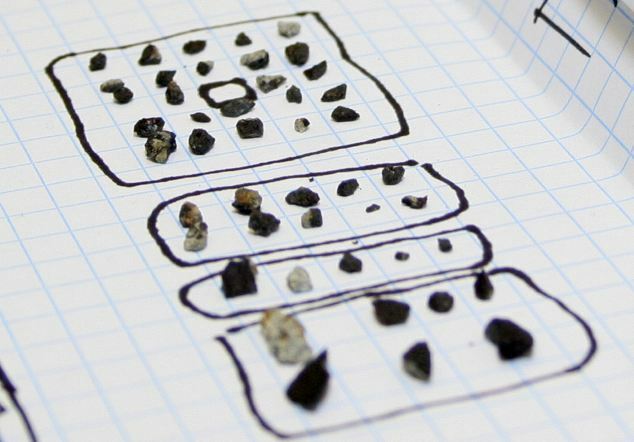 Professor Carlos de la Fuente Marcos and his brother Raul from the University of Madrid identified 20 possible sources from a cluster of asteroids dubbed Chelyabinsk asteroid family. However, the only way to confirm this theory, claims Marcos, would be to go into space and take samples of the 2011 EO40 asteroid. German scientists are also set to publish finding later this year that claim the meteor was made of a stony material called chondrite breccias.Most asteroids are made up of boulders, dust and ice. 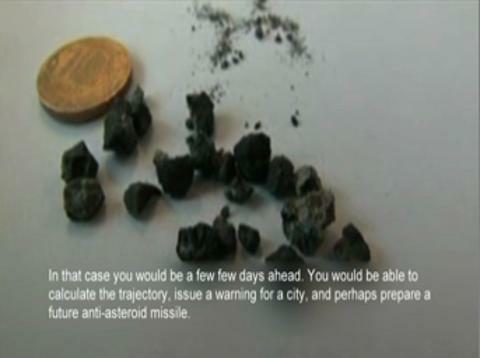 Professor Carlos de la Fuente Marcos added that another similar incident is ‘unlikely’ but smaller fragments might crash to Earth as the asteroid continues its orbit. The meteor caused widespread property damage in Chelyabinsk city, with health officials saying that 46 of the injured remain hospitalised. The debris narrowly missed a direct and devastating hit on the industrial city which has a population of 1.13 million but spread panic through its streets as the sky above lit up with a blinding flash. 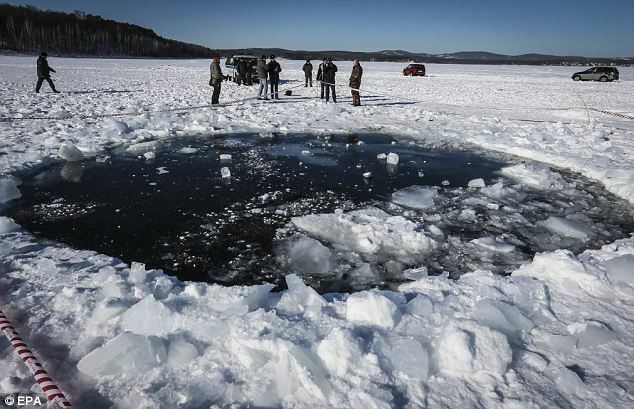 Viktor Grokhovsky, who led the expedition from Urals Federal University, said that 53 fragments of the meteor had been plucked from the ice-covered Chebarkul Lake. 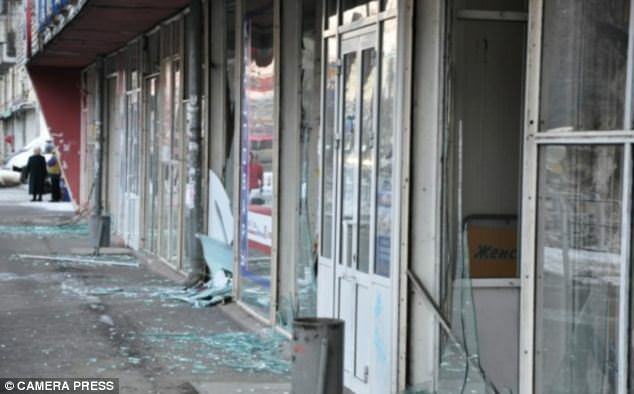 The local governor estimated the damage at 1 billion rubles (£21.5million) and said he hopes the federal government will provide at least half that amount. Lidiya Rykhlova, head of the astronomy department at the Moscow-based Institute for Space Research, said experts have drafted a program that envisages building powerful telescopes, including space-based ones, to warn against potentially dangerous asteroids, comets and other threats. As it raced through the sky, the 50-foot wide chunk of space rock compressed the air ahead of it, creating the enormous temperatures that meant it exploded in a fireball somewhere between 18 and 32 miles above the ground at around 9.20am local time on 19 February. Although some debris fell to earth, ‘whipping up a pillar of ice, water and steam’ and creating a 20-foot-wide crater, the damage in nearby towns was actually caused by shockwaves created by the meteor breaking the sound barrier and then exploding. Collectors from around the world will be keen to get hold of a piece of the meteor. Film director Steven Spielberg is a noted collector. In October a 9in piece of the Seymchan meteorite found in Siberia in 1960 sold in New York for $43,750 (£28,200). Astronomers have also revealed that the meteor could have hit UK cities if it had hit at a slightly different time of day.